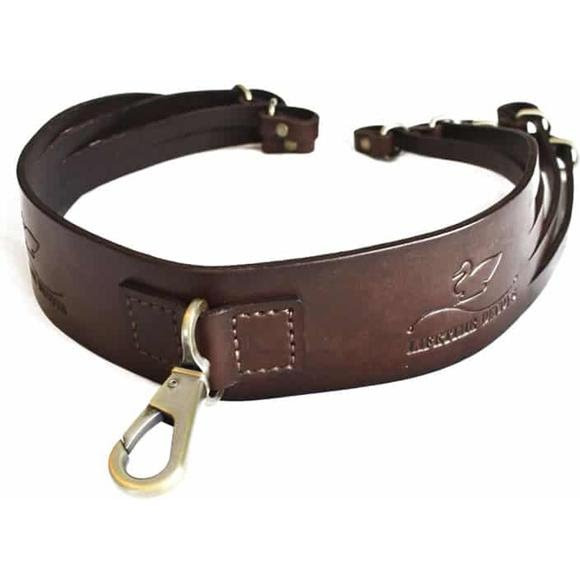 Can't beat the old school leather duck strap - quality, durability, efficiency, style. 10 noose style straps can hold as many birds as you can carry. Easily fit 2-3 birds through each noose. Throw it over your shoulder to carry your birds. Clip it onto your duck blind to hold your birds and keep 'em high and dry while you're hunting. Can&apos;t beat the old school leather duck strap - quality, durability, efficiency, style. 10 noose style straps can hold as many birds as you can carry. Easily fit 2-3 birds through each noose. Throw it over your shoulder to carry your birds. Clip it onto your duck blind to hold your birds and keep &apos;em high and dry while you&apos;re hunting.